When choosing a management company upfront expectations should be met during the entire time you work with your management company. Re-Rent Leasing Fee Guarantee – If the tenants we place in your property do not complete the first 12 months of their lease agreement we will re-rent the property for free. You will never pay 2 full leasing fees in the same 12 month period! * Does not apply to early termination when tenant pays for all fees to re-rent the property, or other valid provisions within the lease. 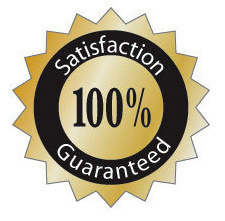 100% Happiness Guarantee – If for any reason you are not 100% Happy with our property management service, we will refund you that one month’s management fees. It’s Easy To Switch – If for any reason you are not completely happy with our services and you want to leave Peabody Residential, you can cancel your agreement without penalty at any time.